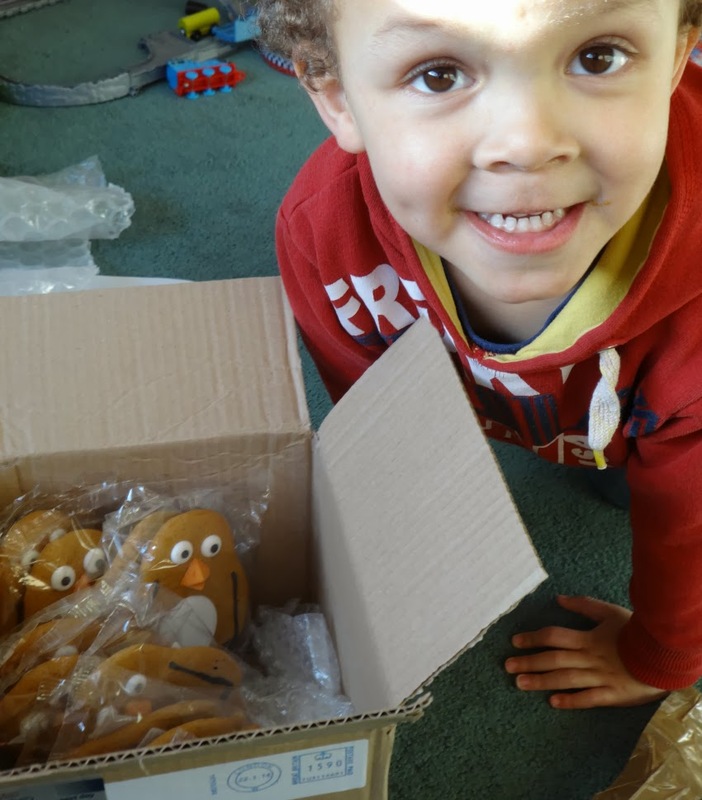 We were very lucky to receive a few Perry the Penguins to have fun with this weekend courtesy of Costa Coffee. He, and a few of his friends arrived on Thursday. In the box was a gold envelope like something from Charlie and the Chocolate Factory - it was all very exciting - I could not wait for Aaron to finish nursery at 1 p.m. so I could show him his new friends. 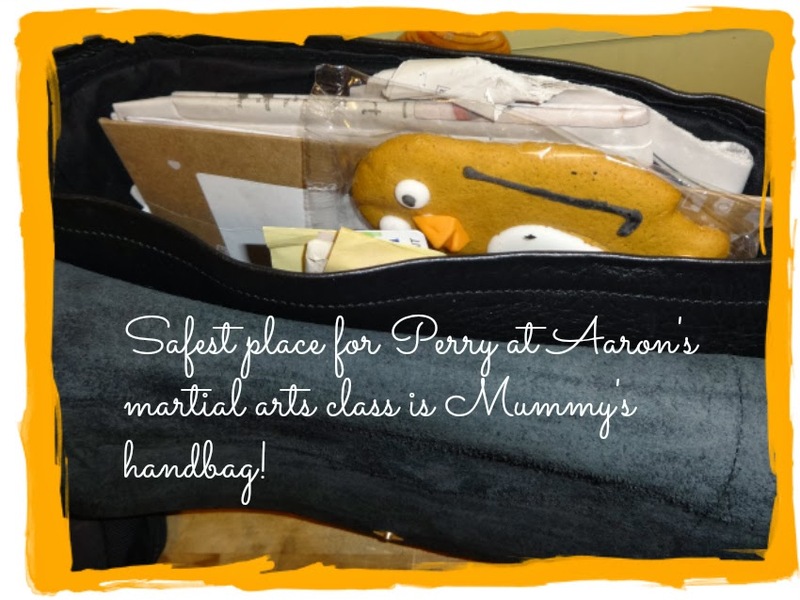 That night Mummy took Perry in her handbag to Aaron's first ever martial arts class, but Mummy was so worried watching Aaron, Perry never got a look-in - ooops; thank God the challenge didn't properly start till Friday. Friday - the only thing we did was to take Perry swimming. Was a great session. 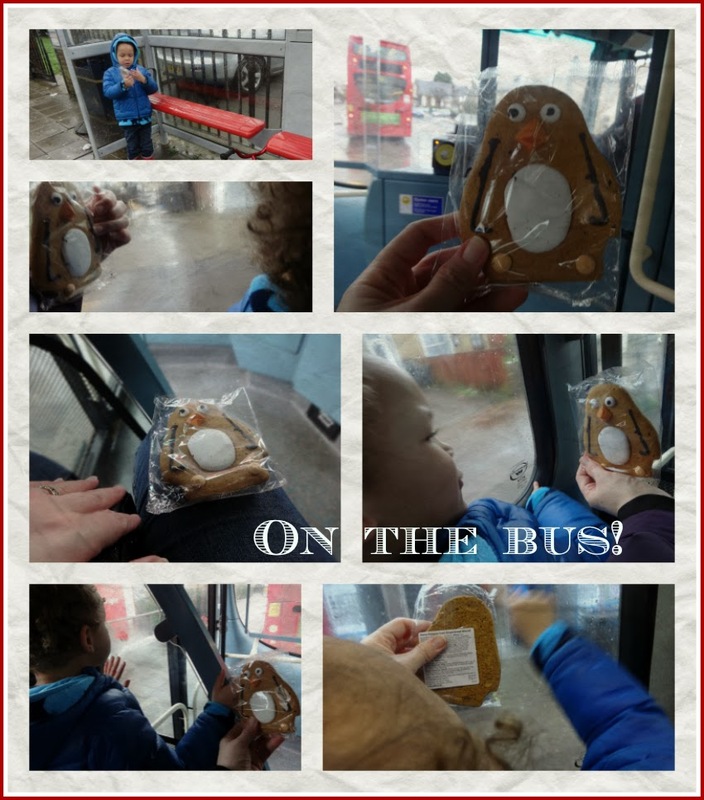 We all had lots of fun and went for something to eat afterwards. 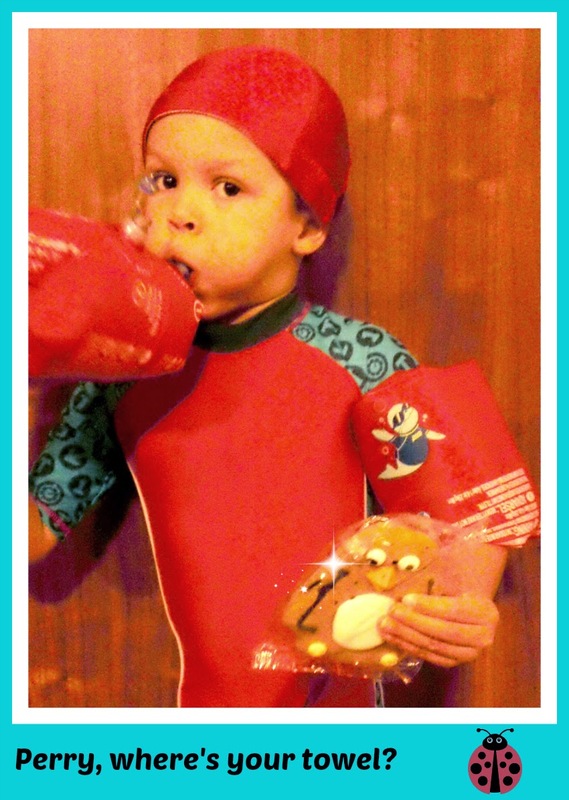 Swimming always makes Aaron hungry! 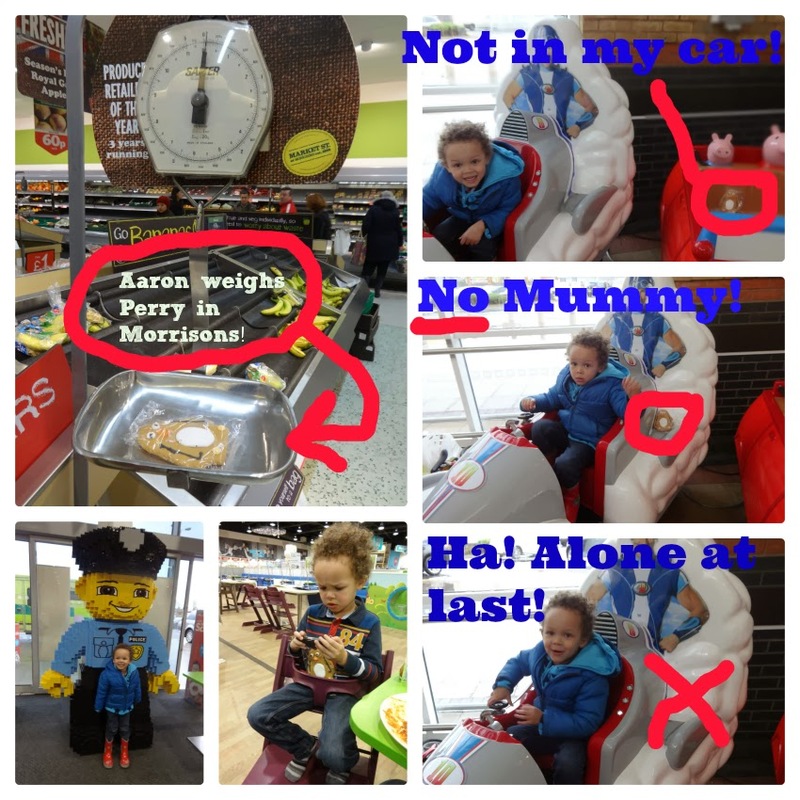 We actually did go out in the end and went to Kiddicare and got some food shopping at Morrisons. Aaron showed Perry how to write in steam on the window. Perry spent a long time looking at the driver, wishing he could drive the bus. Then he relaxed and sat on Mummy's knee and enjoyed the journey. Aaron loved posing with the new lego Policeman at Kiddicare and was thrilled when I didn't ask him to share with Perry - now I know what Aaron would be like as a Brother - lots of work to do me-thinks! See he's not impressed holding him while eating lunch. 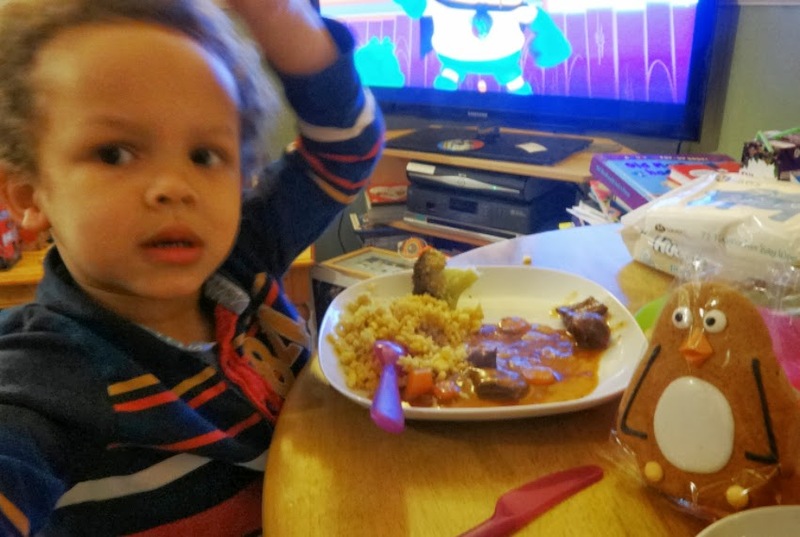 Perry was quite jealous of the Beef Casserole (Aaron's gobbled up most of his beef already in that photo) we were eating so he sneaked off and came up with this fishy dish! I think the long and the short of it is that Aaron isn't terribly great at sharing. I think our left-over Perrys need to have some more adventures as sadly they joined us on a very inactive weekend which just isn't like us at all, but the weather was truly awful. So the next time dear reader, that you are in Costa Coffee keep an eye out for Perry the Penguin. Disclosure: we were posted Perry the Penguins for the purpose of this challenge, and will receive a Costa voucher, which I can't wait to use. Oh, I saw your pics on Instagram this weekend, hilarious! 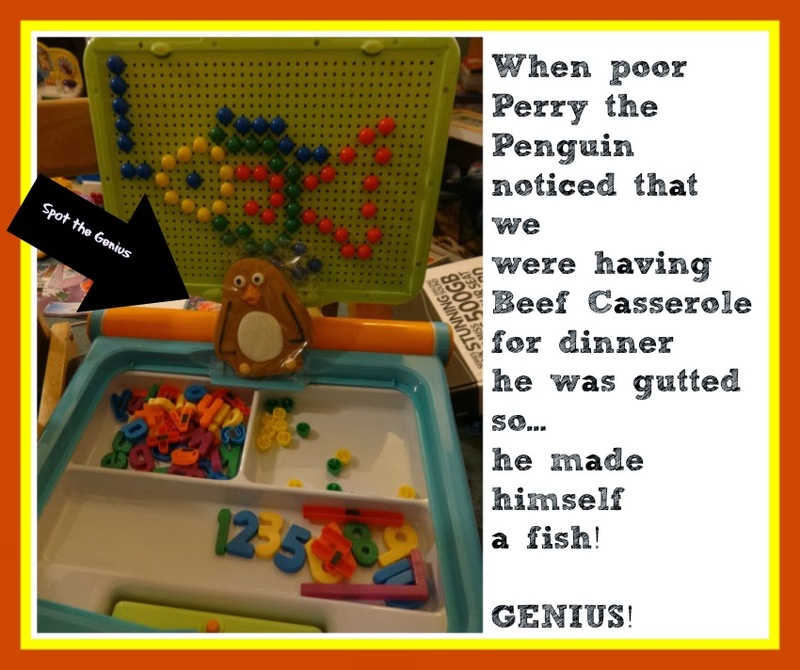 Looks like Perry had a lot of fun - don't think he would have lasted very long in our house! That was certainly enough Perry's to last a few days! Out of interest....how much did he weigh after he had lost his bottom half?! 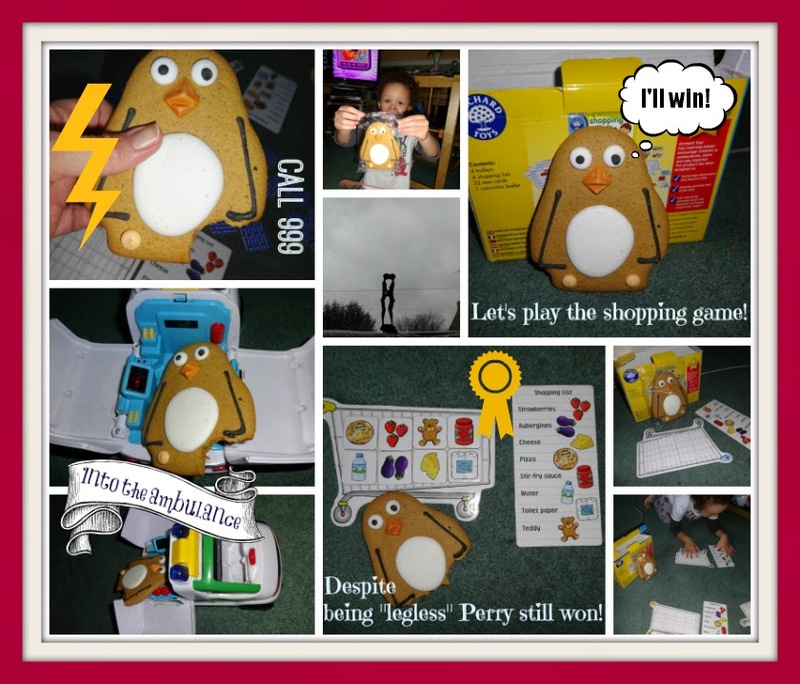 Looks like you had a fun weekend and so did Perry! Percy wouldn't have lasted here - I would have snaffled him up! Love Costa and not tried a Percy yet! After reading your post I will be whipping up some gingerbread biscuits at home to nibble on. Homemade is always best! I really want a Perry now! 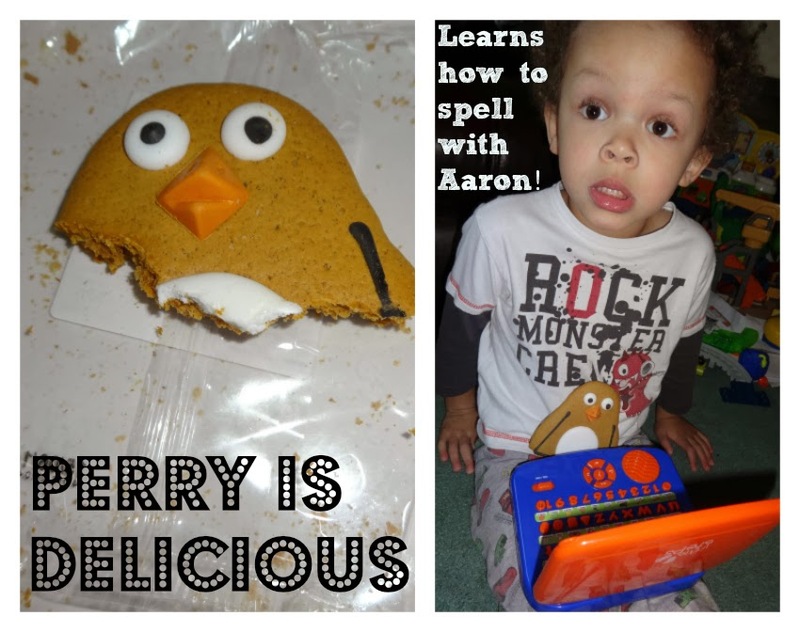 Perry looks tasty :D lol at aaron "he's just a biscuit" my eldest is like that too, he won't always play along - we had the class stuffed animal this weekend and he's all like "mum, he's not real you know!" Looks like Perry had quite an adventure! Sounds like you and Aaron had a great weekend. I laughe dout loud when I rea dyou ate one of Perry's friends on Saturday. In cas eyou got any left, pass one to me. Would Perry like to come for coffee ? You look like you had lots of fun with Perry - he is delicious too and I am quite sad we have run out! Hmmm the marketing is working - wish I could get a Perry from Costa Coffee now! Perry, Perry where for art thou Perry?